Santa Ana, CA– October 10, 2011— As the Game Developers Conference Online event kicks off in Austin, TX this week, the event's parent company UBM TechWeb Game Network debuts a browser-based game commissioned by Web Wise Kids, a non-profit company for the benefit of child safety. The free title is called 'Passing The Ball' and is created by notable indie game creator Gregory Weir (The Majesty Of Colors). It's an action game that follows a parent and their child as they learn an important lesson about working together. Using generative music and randomized opponents, the game is currently available on the official GDC Online website – http://www.gdconline.com/passingtheball - and will be available on multiple worldwide online game sites in the near future. The message conveyed by the web game is pertinent to many of the online game creators attending this week's leading online game show in Texas. These developers consider the best ways to encourage child safety for younger players of their immensely popular games. The title is also designed to be played by parents and children who may be mindful of their role in protection from injurious online content, and how Web Wise Kids might help them with this. 'Passing The Ball' includes a donation link to Web Wise Kids, and marks the first advocacy game commissioned by the UBM TechWeb Game Network, as it recognizes the importance of video games in promulgating social messages. Next March, the Game Developers Conference 2012 in San Francisco will continue this initiative by including a one-day Games For Change Summit, created by the same non-profit team behind the popular New York event of the same name. In addition to commissioning the game for Web Wide Kids and adding the 'donate' link to the game, the UBM TechWeb Game Network has donated $1,000 directly to WWK to help its strong existing programs to "promote a culture of safety, responsibility and respect for youth and families in the digital world." As an organization, Web Wise Kids has a unique approach to Internet safety using state-of-the-art games to effectively communicate Internet and cell phone safety strategies to today's young people. WWK's school approved crime-prevention programs have prepared over 10 million youth and thousands of parents to be their own first lines of defense from online and cell phone danger. "We're pleased to debut 'Passing The Ball' as an example of a thoughtful, allegorical web game that helps people consider their role in helping young people make themselves safe online", says Simon Carless, EVP of the UBM TechWeb Game Network. "The game's underlying concept is that multiple parties have to act together to protect kids online, and we've enjoyed working with Web Wise Kids to craft and release the game to help put their important message across." A core provider of essential information to the professional video game industry, the UBM TechWeb Game Network offers market-defining content, and drives community through its award winning lineup of print, online, event and research products and services. These include the Game Developers ConferenceR, the Webby Award-winning Gamasutra.com and network of sites, the Game Advertising Online ad network, the Game Developers ConferenceR Online, the Game Developers ConferenceT Europe, the Game Developers ConferenceT China, the Game Developers ConferenceT Canada, Game Developer Magazine, Game Developer Research, the Game Career Seminars and GameCareerGuide.com, the Independent Games Festival and Summit, and the Game Developers Choice Awards. 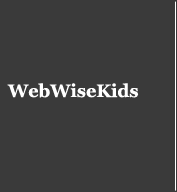 Web Wise Kids is a national non-profit organization dedicated to empowering today's youth to programs for young people. Today's e-generation is taught valuable lessons using unique computer games with fun, interactive simulations based on real-life criminal cases. Web Wise Kids programs have reached more than ten million children and thousands of parents nationwide in conjunction with school systems, law enforcement and community-based youth organizations. www.webwisekids.org.